I am a Toronto Star Subscriber In Print and cannot manage to fill out something to give me web access to articles, is this why? I had the same problem with the 502 error. The 2019 calendar is NOT in the Toronto Star (Nov. 17). can’t use gateway get bad gateway 502. So disappointed not to be able to get in my Star this year in Ontario. Always look forward to this weekend and receiving it. Looked in Star and didn’t realize that it would not be there. Starting looking on web and found out this. Thanks for giving me another reason NOT to renew my Toronto Star subscription. I’ll bet that newspaper dies within the next year. I am so disappointed in the 2019 Milk Calendar…I have used and collected them for 20 years and still have them all. This years is totally useless. The days are marked with info not needed and not leaving any room for my notations. I will be using another calendar this year…such a shame. I ordered the 2019 Milk Calender in November after seeing ad in The Hamiton Spectator, have not received today is Jan.01, 2019. Have been subscribing to Toronto Star for years and have been receiving the Milk Calendar each year like clock work every year without especially requesting for it or signing up for it. But this is the first year I haven’t received it. Not sure the reason. I always look forward to it since that is the only calendar in my house. So disappointed. I did receive my Milk Calendar but totally agree with previous comments. It is the worst one ever and I know I have been using them for at least 30 years. You cannot even see the numbers from only an arm’s length away. There are no actual boxes to write in. Recipes might be fine but the calendar is a waste of your money and my time. I have tried to click on attachments for my milk calendar for Ontario but there is no form shown for me to fill out. I need 3 calendars for my family. Ordered my Milk Calendar on Dec 22nd. They said I would receive it shortly. Where is it? So disappointed it was not included with the Toronto Star this year!!!!!!! I ordered a calendar at the beginning of December after not receiving one as usual in the Hamilton Spectator. I too have all the copies dating back to the 1980’s. On Dec.12 an e-mail said they were in the mail or would be that week. High volume of requests and the postal situation were blamed for the delay. I have sent 3 e-mails to register that I have not received and still do not have my calendar. No one has responded. How do you get a calendar? 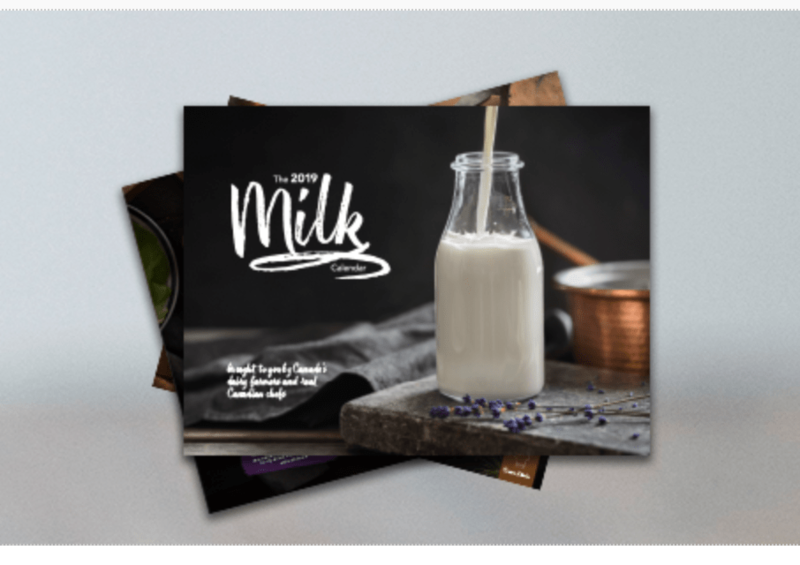 This is my third time ordering the 2019 milk calendar. I have been told the last 2 times that it would be promptly sent but it has not arrived! Why was it not included int eh Hamilton Spectator? From looking at the websites, I think it was in the Star and both papers are owned by the same company! ordered my milk calendar early Dec. It said is in its way.Mid Jan did not get it .I am subscribed to the Kitchener Record the last 40 years and I love my milk calendar what can I do? Can I order again ? Have ordered my calendar twice and have not received it or any explanation. Why was it not in the star this year. I have home delivery in Toronto. There is definitely a glitch in their system. I ordered 1 calendar and received 2 a week apart. It’s no good anyways, the recipes are unappealing, the tips are useless and irrelevant, and the layout of the calendar portion is terrible. Mine went straight to recycling bin. Who’s delivering it: one of your cows? I requested a Milk Calendar January 3. Still haven’t received it. Definitely do not like the format of the 2019 milk calendar. Yes ! Where is my calendar ? I ordered it back in Dec.